Celebrate Ontario's Family Day with a family-friendly beer festival, skating, touring the site and playing in the Children's Garden. This year, spend Family Day at Evergreen Brick Works. Celebrate with Ontario craft beer, tasty food from local vendors, skating around the rink, joining in on a site tour and playing in the Children's Garden. Bring your loved ones and enjoy a family-friendly mix of both indoor and outdoor activities. Raise a glass to the long weekend! 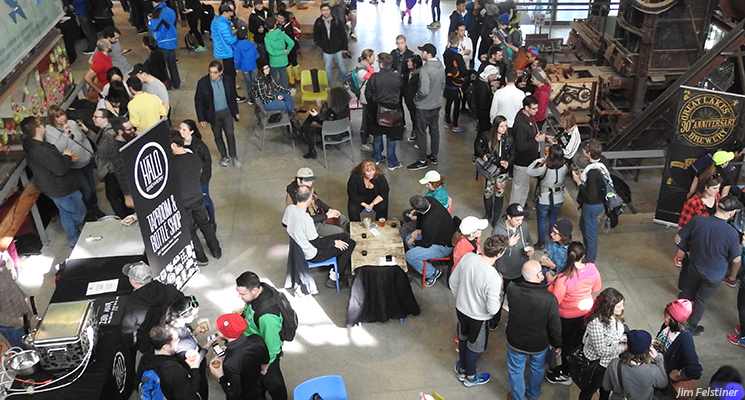 Brewer's Backyard is an indoor gathering of local craft breweries and food vendors, here for you to drink, eat and spend time with your loved ones. The Brewer's Backyard will be entirely indoors so we can all stay warm even if it's cold outside. Additionally, grab a hot or cold non-alcoholic drink from The Sipping Station. Lace up! Skate along Evergreen's picturesque outdoor skating rink. Bring your own skates or rent a pair of ours! Skating is free, and skate rentals are available for $5 a pair. Learn more about skating at Evergreen Brick Works here. 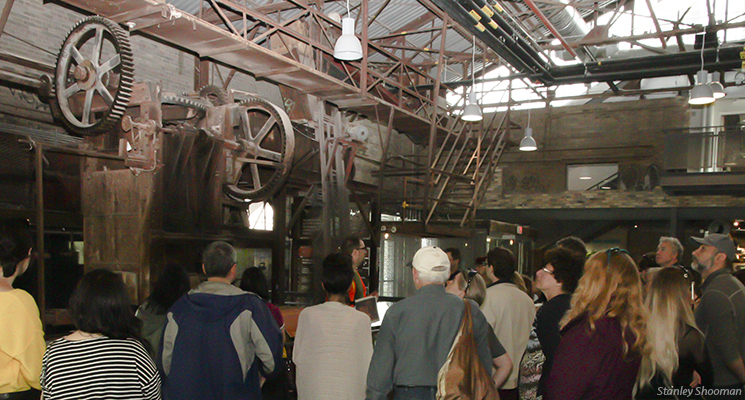 Learn the story of Evergreen Brick Works and discover how Evergreen reclaimed and revitalized this former industrial site into an award-winning environmental community centre and green-technology showcase. Tours touch on key themes related to the site, such as sustainability, art and geology. There is a $5 suggested donation per person for site tours. If your little ones are looking to burn off some energy from being cooped up indoors, spend some time outside in our Children's Garden! Engage in open-ended play and bring a vegetable to contribute to our Stone Soup. 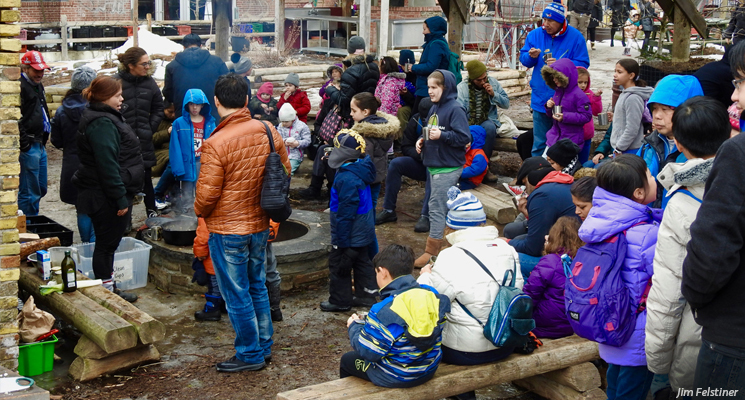 Learn more about Nature Play at Evergreen Brick Works here. 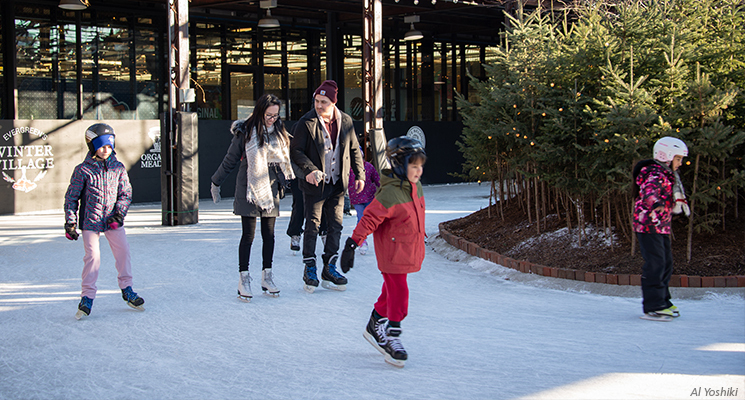 The skating rink opens at 10am, the Brewer's Backyard and Nature Play begin at 11am. This event is free to attend and no registraton is required.